The University of New Orleans, which operates WWNO-FM, today announced revised plans to support a collaborative, nonprofit multimedia news operation, expanding the reporting role of The Lens and increasing the NPR affiliate’s focus on news and cultural information. 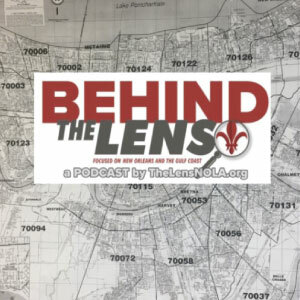 The new plan shifts the effort from creating NewOrleansReporter.org and its newsroom to building on the established expertise, brand and platform of The Lens, at TheLensNola.org. Councilman Jon Johnson’s indictment and abrupt resignation last week caught political observers off guard, but the gist of his wrongdoing was disclosed by my former colleagues at The Lens more than a year ago. The Times-Picayune, which recently announced savage newsroom cuts as part of a transition away from daily print publication, only managed to cover the press conference. Andre Perry describes himself as an education “thought leader”. His work has run the gamut from advocacy for immigrant education rights to university professor to chief executive of a charter management organization in charge of K-12 schools.